The current SPC Loan Account interest rate is 3.2%. Need to make a withdrawal? Loan or Gear Account Questions? Call all Claudine Dugi at (360) 685-8144 or email her at cdugi@spcsales.com. She can send you a check, ACH funds to your bank account, or pay your Gear Account balance from your Loan Account. The SPC Loan Account is a program where you can participate in financing the operations of your business by loaning money to the Co-op in order to reduce the amount the Co-op might have to borrow from a bank. We much prefer to pay interest to our owners than to pay interest to a bank! Any funds you put in the Loan Account are considered “on demand” money, meaning you can withdraw all or any part of your money whenever you like and we will either send you a check or ACH your money directly into your bank account. Interest is paid monthly and any funds deposited by the 10th of the month will earn interest from the 1st. Funds deposited after the 10th of the month do not earn interest for that month. Withdrawals may be made at any time but will not earn interest for the month in which they are withdrawn. Funds deposited in the Loan Account are not insured. Only funds from SPC advances, second advances and final settlements are accepted into the Loan Account. During the period coinciding with the IFQ season opening through October 31 there will be no maximum limit on the Loan Account. The maximum limit during the period from November 1 to the IFQ season opening will be $80,000. Funds contributed over the $80,000 level during the period beginning with the IFQ season opening through October 31 must be generated during that same time period. Any funds in a owners account that exceed the November 1 maximum limit will be returned to the owner by November 10 of each year. The current SPC Gear Account interest rate is 8%. If you want to know how much you have available to charge or if you want to pay your Gear Account from your Loan Account call Claudine Dugi at (360) 733-0130 x 209 or email her at cdugi@spcsales.com. 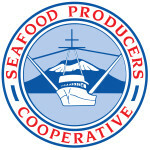 The SPC Gear Account allows you to purchase items at a wide variety of fisheries related stores, often times with a discount for SPC owners. The store will call for a purchase order and send the invoice to SPC’s Bellingham office where it will be charged to your individual Gear Account. Interest is charged monthly on Gear Account balances that are not paid by the next calendar month after the charge is made. Any owner with a pending settlement may charge up to ½ of the amount they have in their Capital Investment account. Each owner is required to deliver 5,000 pounds of product each year. Those not meeting this requirement will be assessed $0.10 per pound on the number of pounds short of the minimum. All owners have an obligation to contribute annually to the Capital Investment Fund. Yearly retains are 10% of gross settlement with an annual minimum contribution of $500 and maximum of $2,000 until the Capital Investment limit of $15,000 is reached. This requirement is waived for the first year of ownership. Pacific Trollers Fund (PTF) is a highly successful self-funded hull & machinery insurance pool. If you are an SPC owner and are not yet taking advantage of the insurance fund opportunity, ask some PTF members and you will see that there is not a better deal around! PTF has returned 100% to its members for 20 years straight and 30 of the past 31 years and has averaged approximately 98% since its inception in 1959. Although there are no guarantees of 100%, the process of requiring applicants to have at least six references from current PTF members is a big part of the pool’s success. For those of you who are not familiar with the insurance pool process, new members pay an annual assessment of 5% of the covered value of their vessels for the first four years of membership. Then on the fifth year, the first year you paid in revolves back to you – either to pay the current year’s assessment if you are still a member, or in the form of a check to you if you are not a member any longer. So unless there are significant losses that affect the return, once you get those first four years of payments in – that’s it! To apply for membership you need to submit a completed application form, an out-of-water survey that has been done within the last two years, and a brief resume of your fishing/boating experience. On the application form you will list the names of at least six current PTF members to use for references. A list of members is included in the application packet. Send this information to Kathi Paluch in Bellingham or you can submit it by email to kathi@pacifictrollersfund.com.